Players to watch: Quarterback Malik Watson started but was replaced by Blake Barney for most of the game. Barney was thwarted from the go-ahead touchdown by inches with a forced fumble. Sei J Lauago leads the team in rushing (478 yards) despite missing the last three games. In his absence Jeffrey Coprich (273 yards)and Lika Palmer (201 yards) have carried the load. Orlando Wallace (43 catches) and Kasey Allison (35 catches) lead the receiving corps. Brad Duran got his first receiving touchdown last week. Tim Ah Hee and Braden Peterson anchor the offensive line. Defensively safety Mike Jones leads the team with 66 tackles and four forced fumbles. Linebackers Noe Perez and Tane Tuifua trail him with 59 and 51 tackles respectively. Defensive back Trayvon Watson has 50 tackles and leads the team in interceptions with cornerback Jaylen Moore (two apiece). Perez also leads the team in sacks (3). Remington Kelly, Amate Savusa and Donovan Williams anchor the defensive line. Players to watch: Quarterback Nick Rooney leads the RMAC with 300.9 yards passing per game, completing 186-of-307 passes for 2,106 yards and 19 touchdowns to go with six interceptions. His favorite target and RMAC receiving leader, Chad Hovasse averages 110.0 yards receiving per game. Through eight games, Hovasse has made 63 catches for 880 yards and nine touchdowns. Two other ASU receivers have caught five or more touchdown passes, including Marquese Surrell (54 receptions, 737 yards, 8 TD) and James Holtrop (40 receptions, 403 yards, 6 TD). Defensive back Garrett Jackson leads the attack with 76 tackles (8.5 TFL) and two sacks. Defensive backs Michael Cirino and Ashton Lawson lead the team in interceptions with two takeaways each. 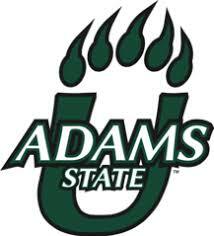 Adams State enters the game with the same record as Dixie State. The Grizzlies have scored 30 or more points in four games this season and have earned wins over Western State (51-14), Fort Lewis (34-27) and South Dakota Mines (52-44). The Grizzlies lead the RMAC and rank second nationally in pass offense, averaging 349.8 yards through the air per game. Defensively, the Grizzlies allow 503.0 yards per game (263.2 rush, 239.8 pass) and have logged a combined eight sacks. This matchup seems tailor-made for the Blazers. DSU has a very good pass defense to counter the Grizzlies and a dangerous run offense when it is clicking to take advantage of the weak run defense of ASU. I don’t think this game will be as close as last year.